HUGE NEWS!! 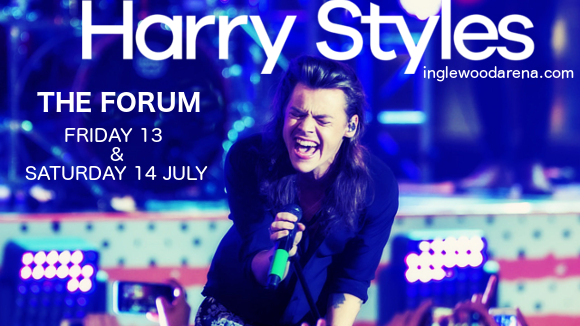 The Forum is proud to play host to the event of the year, a visit from the incredible British pop superstar Harry Styles!! Supported on tour by the wonderful Kacey Musgraves, Harry Styles promises a show that will be truly out of this world! Catch this extraordinary show on Saturday 14th July 2018 – tickets in VERY high demand! Grab them NOW to be sure of your place!! Gaining fame as a member of the boy band One Direction, Harry Styles has since branched out on his own, taking his individual skills as a songwriter and artist to all new heights! Described as "almost bold in its resistance to contemporary pop music aesthetics,” by the New York Times, Harry Styles’ debut solo album, his first without One Direction, flew straight to the top of the charts upon its release in April 2017. It’s lead single, "Sign of the Times”, reached number one on the UK singles chart and reached the Top 5 of the US Billboard 200. It achieved enormoous critical acclaim, with Gil Kaufman of Billboard writing; “Every artist is an accumulation of their influences, and in this song they come fast and furious, as Styles appears to be both showing his range and making a clear effort to step boldly away from the manufactured, plastic pop of his past”. Get ready to hear all the brand new material live with your favourite pop star and artist – get your tickets to see Harry Styles NOW because they’re not going to last long! !